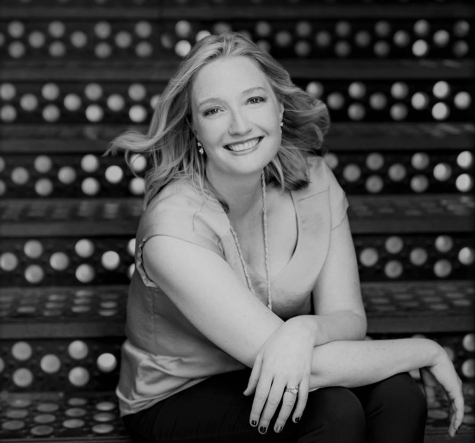 Christina Wright-Ivanova, hailed by critics as “a brilliant pianist” (Wiener Zeitung, Vienna) and “an ideal partner” (Huffington Post), is currently Assistant Professor of Music and the Coordinator of Piano & Collaborative Piano at Keene State College, NH. Dr. Wright-Ivanova frequently performs solo recitals with a special focus on new music. She has performed both solo and collaborative new works in such venues as Boston’s Museum of Fine Arts, Isabella Stewart Gardner Museum, Berklee School of Music, MIT, The Harvard Club, Opera America (NY), Jordan Hall, Tanglewood’s Ozawa Hall, Old North Meeting House, and in the Clutch New Music Series in Austin TX and the NEXTET series in Las Vegas. She has enjoyed close collaborations with composers including Jo Kondo, Augusta Read Thomas, Steve Reich, Julian Anderson, Joan Tower, Daniel Brewbaker, Tristan Murail, Robert Beaser, Jennifer Bellor, Daron Hagen, Paul Chihara and Virko Baley, and has worked with several ensembles in new music, including the Callithumpian Consort, MIVOS Quartet (NEON Festival), Juventas New Music Ensemble, and at the Academie für Neue Musik with the Arditti Quartet. She recorded a series of demos for Jonny Greenwood’s (Radiohead) soundtrack for the movie ‘The Master’ (Western LLC, 2012). Her love of art song and working with singers has brought fruitful collaborations in recital with singers from the Metropolitan Opera, Deutsche Oper Berlin, Greek National Opera, Lyric Opera of Chicago, Lithuanian National Opera, Calgary Opera, Boston Lyric Opera and more. As a student, she attended the Schubert-Institut in Baden-bei-Wien on a full scholarship from the Johann Strauss Foundation, and is a Britten-Pears Scholar (UK) and a Crear Fellow (Scotland) under the mentorship of Malcolm Martineau. Dr. Wright-Ivanova has played in Master Classes by leading artists such as Elly Ameling, Barbara Bonney, Helmut Deutsch, Renee Fleming, Nicolas Hodges, Wolfgang Holzmair, Jorma Hynninen, Rudolf Jansen, Warren Jones, Ursula Oppens, Rita Sloan, Anthony Spiri, Edith Wiens, Pierre Vallet, Roger Vignoles and Brian Zeger. She has worked as opera pianist, coach and scenes director with Boston Opera Collaborative, Commonwealth Lyric Theater, Handel & Haydn Society and the Pacific Opera Victoria (Canada), and has been the official pianist for the Metropolitan Opera Auditions. Recently, with duo au courant partner mezzo-soprano Stephanie Weiss, she has performed at the Berlin Art Song Festival. A debut duo recording entitled ‘Songs Sacred and Profane’ will be released in 2019 with new songs by composer Daron Hagen. The duo recently commissioned a large-scale art song project entitled “Passageway” which experiences the journey of immigrants into Europe through music and poetry by German composer Jonathan Stark. She frequently serves as an Adjudicator for piano and chamber music competitions in the US and abroad. She has most recently presented art song and chamber music master classes at Arizona State University, New England Conservatory, the Nanjing University for the Arts (China), University of Kingsville Texas, and the Rodi Conservatory (Italy). As a chamber musician, she has been heard in over fifteen countries throughout North & South America, UK, Europe, Asia and Australia, appearing in recital with many established artists. She enjoys frequent performances with orchestral musicians, including members of the Boston Symphony Orchestra, Las Vegas Philharmonic, Civic Orchestra of Chicago, Kansas City Symphony, San Antonio Symphony, and Boulder Philharmonic. In the 2018-19 season, she collaborated with The Lydian Quartet (Brandeis University), TenHagen Quartet (Germany) and Castle of our Skins in acclaimed performances. She is on faculty at the newly created Jülich Summer Chamber Music Festival in Germany. She was previously on faculty as Assistant Professor of Music at the University of Nevada, Las Vegas, and summer faculty at Dolora Zajick’s Institute for Young Dramatic Voices, BU Tanglewood Institute Opera Intensive (BUTI), American Institute for Musical Studies in Graz, Austria, and at the Franco-American Vocal Academy (FAVA) in Salzburg. Recent international concert performances at the Alte Schmiede (Vienna), Teatro di Musica (Lake Como, Italy), Humboldt University (Berlin), École Normale Supérieure (Lyon, France), Joanneumsviertel Museum (Graz, Austria) and the Schloss Frohnburg (Salzburg). She is a frequent guest artist at the Amici della Musica Paisello Concert Series, directed by cellist Francesco Mastromatteo (Lucera, Italy). For the past five seasons, she has served as the Artistic Director for the ‘Bijou de la Vida Concert Series’ (North End Performing Arts Center) serving Boston’s Italian community.